HCF has unveiled a new brand platform and multichannel campaign focused on how it aims to go "above and beyond" for its members. The not-for-profit insurer said the new above-the-line campaign, ‘Uncommon Care,’ marks a "shift" in its creative direction focusing on a series of "believable and honest portrayals" relatable to its customers. 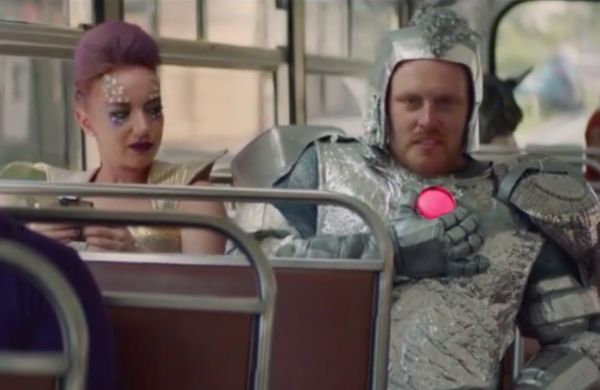 "From a couple of inner-city friends en route to a cosplay event, to an elderly man’s unexpected compassion for his young neighbour, the care demonstrated in the new campaign by the central characters reaffirms HCF’s role in being there to look after their members when they need it the most," it said in a statement. According to Greg McAweeney, HCF's chief officer of business growth, the new campaign is all about showing Australians how the insurer is committed to putting people first. “We wanted to develop a campaign creative that’s inviting and is delivered through real and relatable performances. As our focus is our members, we wanted the core of the campaign to remain central around the characters – who represent everyday Australia and whom we can instantly empathise and connect with. The creative was developed by advertising agency Integer. Blue 449 developed the offline media approach, Mindbox the digital strategy and Slik Digital the dynamic templates for programmatic display. Serendipity managed production and roll out of creative assets while Palin Communications managed public relations.